An excessive reliance on in-car gadgetry could lead to more accidents as drivers get complacent about safety, IAM Roadsmart has warned. The charity backs the conclusions of the House of Lords Science and Technology Committee report Connected and Autonomous Vehicles: The future?, which lists a number of recommendations for the government to ensure the development of autonomous vehicles can take place safely. According to the report, there is a danger that the move towards driverless cars could make motorists “complacent and overly reliant on technology,” with a particular concern being that they would be slow to react in emergency situations. These fears about drive competence need to be understood, the report said. It recommended that the government should be “commissioning and encouraging research studying behavioural questions” relating to how motorists will react as the cars they drive become increasingly automated. Among the other concerns was the suggestion that driverless cars could be subject to hacking, meaning they could become a danger to other road users and pedestrians unless someone in the vehicle can take over the controls. The warnings may counterbalance any excessive optimism that driverless cars could be a road safety panacea, by using machines to carry out driving functions and thus prevent accidents caused by a loss of concentration or irresponsible actions such as competitive driving or driving while using a phone, or while under the influence of alcohol or drugs. 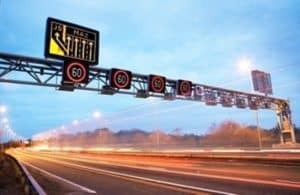 UK government figures published a year ago showed that in the year to March 2016, the most recent for which data is available, 1,780 people were killed in road accidents in Britain. This figure was unchanged from the previous year despite a 1.8 per cent rise in traffic volumes.